How can I add music to my video on Instagram? This is a soul searched question that any Instagram user is looking towards solving. The recent inclusion of video feature is totally mesmerizing users, hence the need to get a feel of Instagram music video maker. Whatever the call, these best Instagram Apps got to be incorporated. Emerging trend of website creation and other digital forms of advertising makes Instagram music video maker a necessity. Pick any of these five Instagram video apps with music for your Mac and Windows alike. Filmora Video Editor lets you create amazing videos with music easily. This app has a wide range of powerful editing tools and is compatible with numerous operating systems. Regardless of how skilled you are, you can use this music video maker to create a wonderful movie project in few steps. • Unique visual effects let you incorporate over 100 visual effects like motion elements and others. 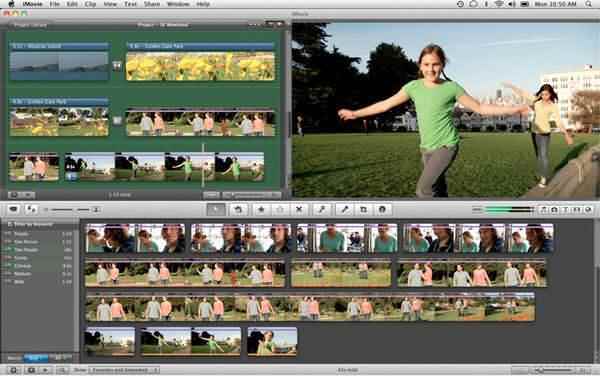 • Drag and drop feature enables you to handle the video editing process with ease. • Use video stabilization, speed adjustment and others to quickly edit and correct action cam video. 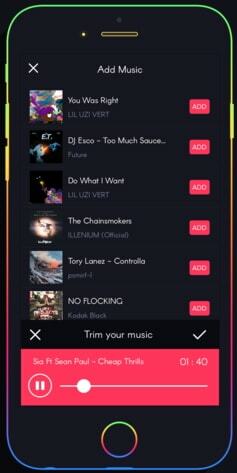 • Music library makes it easier to add your music tracks. • Text and titles support for animated text. • Instant Cutter lets users trim and merge video files while retaining the original quality. •	You can use it on Win 10 / Win 8 / Win 7 and other higher versions. •	Filmora is also compatible with Mac OS X 10.10/ X 10.11/ X 10.14/ Sierra and High Sierra among other higher versions. This Instagram music video maker works perfectly on both Mac and Windows OS. Use this software to get stunning slideshows in clicks as you incorporate any music genre of your choice. 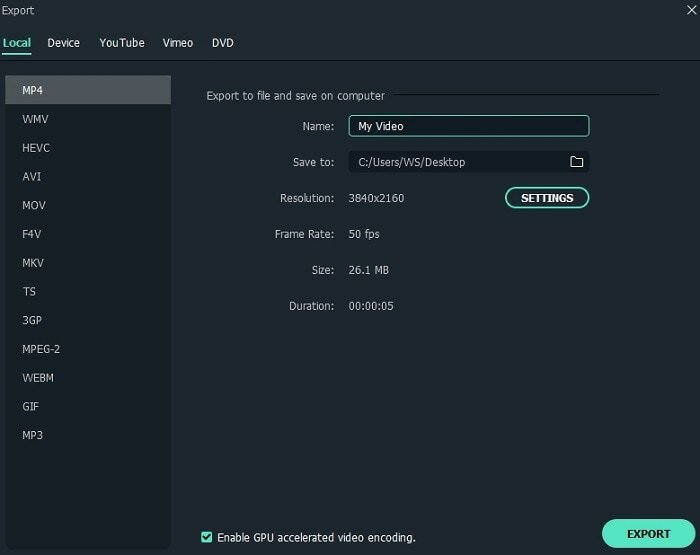 It as well lets you easily import source videos from other sources like VHS and camcorders. •	Enables you save your video to the PC in various formats like FLV, MPEG4, WMV and so forth. •	Trailers and themes allow you to pick video clips depending on the kind of movie you are working on. 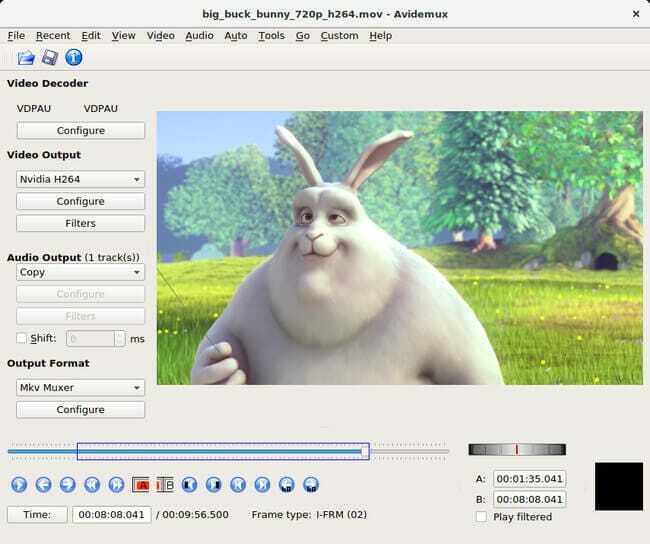 •	Trimmer lets you determine the length of your movie within the shortest time possible. •	Lowered background noise for controlling any loud background disturbances. •	This app lacks the full capabilities of a full video editor. •	It can't upload to youtube. •	Its compatibility nature suits Windows 10/8/7/Vista/XP and Windows 2000. It also performs extraordinarily on Mac OS X 10.0/10.2/10.3/ Mac OS Yosemite and High Sierra. 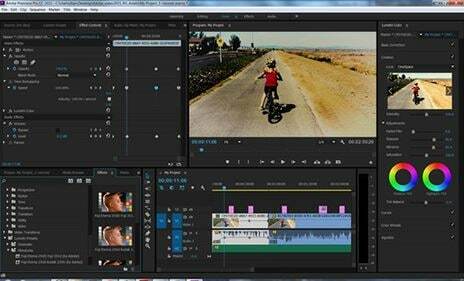 As its name suggests, Adobe Premiere Pro is for the real professionals who are into standard video editing industry. It comes in a well-designed interface which is also a plus to others who are not well versed with video editing skills. • Shot comparison and color marching: lets you compare two different shots and match perfect colors. • Split view: Use this to split your program monitor display either vertically, horizontally or simply view full images. • Gradient support: ou can create visually appealing graphics for text layers and shapes. • Immersive monitor: use it to get a view of the full sphere of the entire footage. •	Adobe Premiere Pro is quite costly as compared to other apps. •	It also requires eminent skill to explore all of its features. •	Use it in Windows XP/ Windows 8/7/10 and Mac OS X v10.1/ 10.12/10.13/ 10.5.7/10.6.3 and other higher versions. Lightworks contains an intuitive user interface encompassed with tutorial videos to walk you all the paths of video editing. Its amazing effects explain the ability to add any music genre for an incredibly polished content. • Unmatched format support: For every format you need to import such as ProRes, DVCPRO, AVCHD, and more. • Optimised for speed: Ability to import all videos in a flash of time. 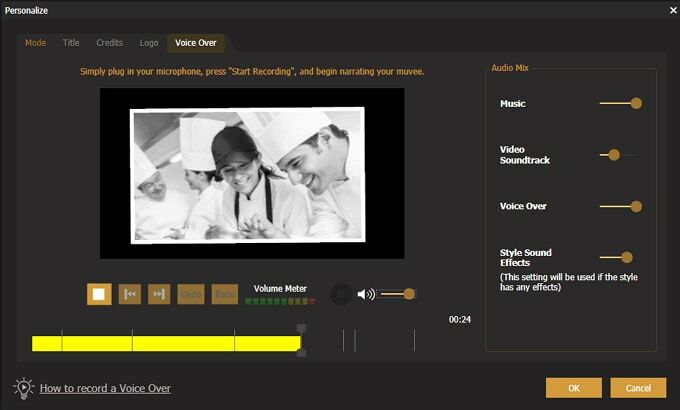 • Multicam editing feature: With a click of a button, this feature lets you change clips and generate auto edit. • Inbuilt presets: These powerful real-time effects enable you to do color corrections and more. •	Its free version lacks audio editing tools. 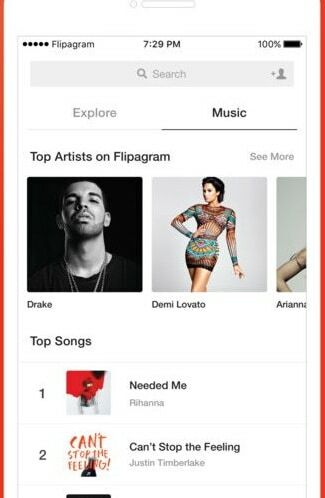 •	Besides Linux, this Instagram video app with music also works on Mac OS X from version 10.9/ 10.10/10.11 up to 10.12 and Windows XP/Vista/version 7/8 and 10. This Instagram music video maker is one of the convenient music video makers that will transform your video to an all entertaining movie. Suitable for Mac operating system, Muvee Reveal Express encompasses an average of five exciting styles from music video slideshows all the way to scrapbook style slideshow. • Exposure: Use this feature to adjust the color lens and let them match up beautifully once stitched. • Batch process: Ability to process numerous video files simultaneously. • Animated titles: Besides adding music to the background, add sleek and fancy animated titles to your videos as well. • Hit and Miss: Directly capture images from camcorders and cameras. •	This software lacks some important features like drag and drop and other minor editing features. •	It also takes up lots of memory space for installation. •	Mac OS X 10.10/10.10.5/10.9 and the latest Mac OS High Sierra are versions that are compatible with this App. Music is indeed pleasing to the ear and any video with music will leave your followers' double tapping on your post exceedingly. These five Instagram video apps have what it takes to eradicate those seconds of silence on your post. Fully compatible with Android OS, Flipgram Instagram video app with music lets you share your memorable videos in a different way. Besides enabling you to add music, you can as well add text as you create your unique multimedia hybrid. •	Ability to set the speed for the slideshow to either move faster or slower. •	Using built-in music library, you can get easy access to your favorite tracks. •	You also have the liberty to stitch together several video clips and photos. •	This app lacks detailed features. •	Its compatible with Android 6.0/7.0/7/1/8.0 and other latest versions. Use Videoshop to personalize your videos before sharing them with friends. Add some adornment by flipping your videos horizontally for a better view. Better still, explore this app and make use of the dozens of filters for ample customization. • Trim: Use this feature to cut off unwanted video parts. 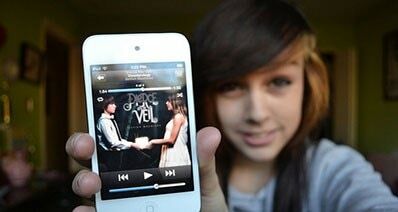 • Music: To incorporate all your favorite songs to play in the background. • Sound Effects: Useful in adding animal sounds and applause. • Combiner: For merging several clips into one movie. •	It cannot support more than 720p resolution unlike other apps that can go up to 4k. •	Videoshop is compatible with iPhone OS v8.2/9.0/10.0 and Android version 4.3 and above. For fast and easy video editing, this instagram music video maker app beats the odds. It combines several templates and editing tools for a polished finish. Apart from entailing full HD videos and unlimited exports, Typito lets you upload videos directly from the interface without downloads and easily add music to Instagram video. • Preview on the Go: Ensures you come up with the desired output. • Social uploads in a click: Do uploads directly, simply and faster. 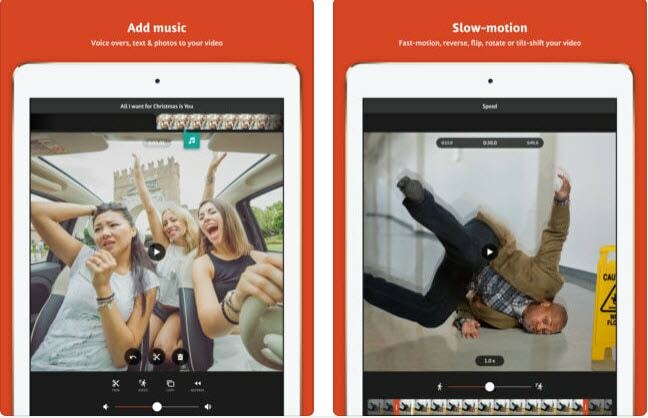 • Square and vertical videos: Flip your videos to desired angles. • Free motion graphic templates: Incorporate motion graphics besides music. 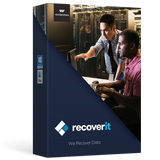 •	Despite having graphic templates, it has the limited collection of images and video files. •	It also lacks keyboard shortcuts. •	It works well in Android OS v 7/7.1/8/8.1/9 and iOS 6/6.1/7 and other latest versions. Suitable for both iOS and Android OS, Lapse cuts across the board to give you a stream of continuous photos. This instagram video app with music will give you a whole collection of your photos and movies in a go. 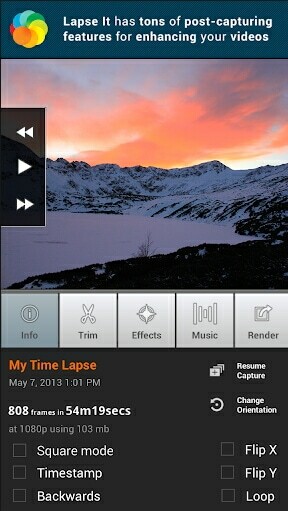 •	Does time lapse and stop motion on your videos. •	Has got more control over the speed of your videos. • Ability to add music: This is at the Pro level version. 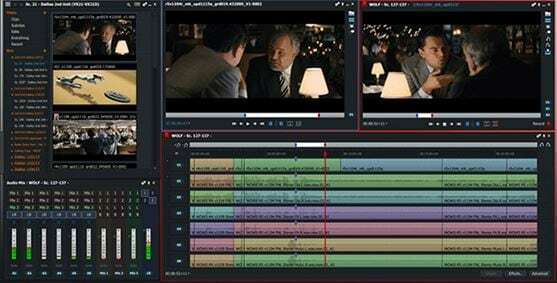 • Post-capture options: These include trimming frames and inclusion of visual effects. •	This app is not user-friendly to most people. •	Images also get a distorted frame even after finishing a capture. •	Use it on Android OS version 6.0/7/8/9 and higher as well as iOS 6.0 all the way to iOS 11 beta. This is another Instagram video app with music that you can use to create a looping mini video from your photos. Simply take a video after you choose a life camera color filter and let the app create stunning videos in seconds. • Gif maker: To create gifs from both videos and photos. •	The Instagram music video maker lets you choose how many times your video will loop. • Animation: Use GIF camera to instantly create animation illusion. •	Some users experience occasional glitches in the video. •	This app is available on iOS version 6.0/7.1.2/7.2/8.0/8.1/9 and various Android versions as 5.1/5.2/6.0/7.0/7.1 and other higher versions including version8.0 Oreo. The most pleasing moment for any Instagram user is stunning videos, accompanied by fantastic musical background. 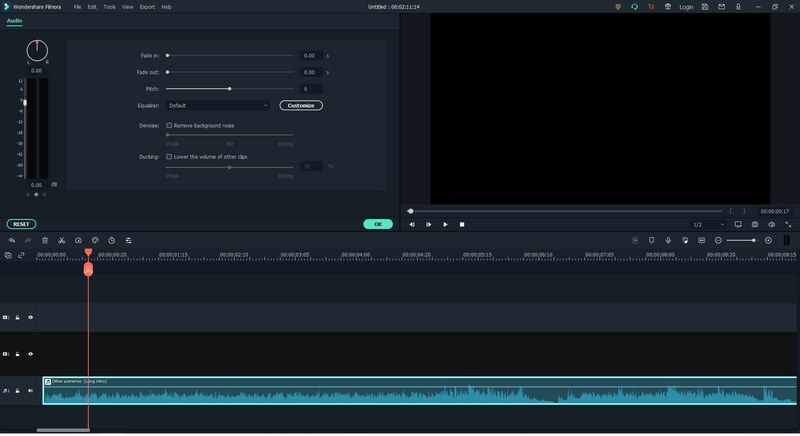 Filmora Video Editor for Windows (or Filmora Video Editor for Mac) is a widely known app that can help you achieve this in a matter of seconds. This app is equipped with every video editing tool to perform various functions. Follow these steps and add a stylish feel to your videos and photos. 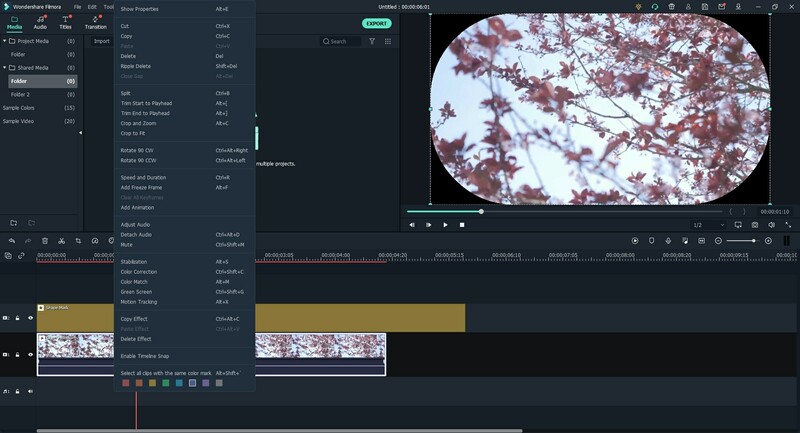 Filmora Video Editor offers several choices for editing, sharing and saving your videos. This software lets you style your video using effects like overlays, split screen, and filters among others. Instant preview feature lets you preview changes in every video editing process. 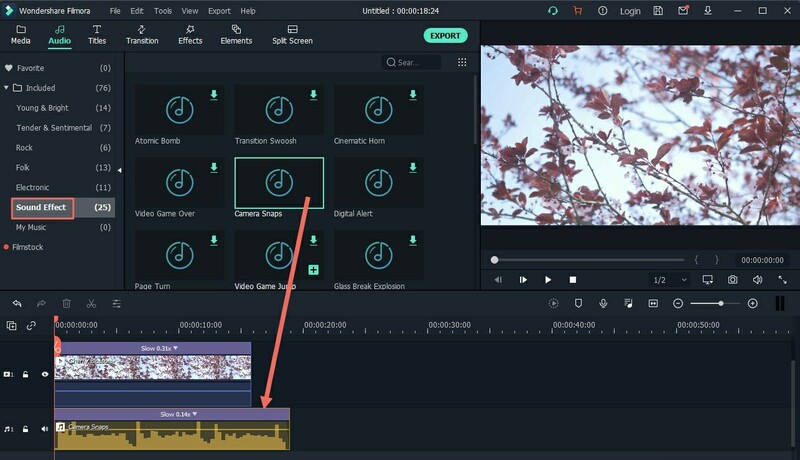 Instant cutter feature enables a quick entry to merge or trim your videos without re-encoding. Visit the website and click on "Free Trial" button then click on "Install" button. Follow the on-screen instructions to finish the process. Once installed, you can either register for the full version or just explore the free version. Click on an option of "Easy mode" for beginners or "Full Feature mode" to add music to your video. In this time, you can choose "Full Feature mode" and go to "Import Media Files" and select the Instagram video files. To put music on Instagram video, drag the imported video files from the album to the Video Timeline. Next, click on "Music" option to drag and drop all your needed music files to the Music Timeline after selecting your theme. 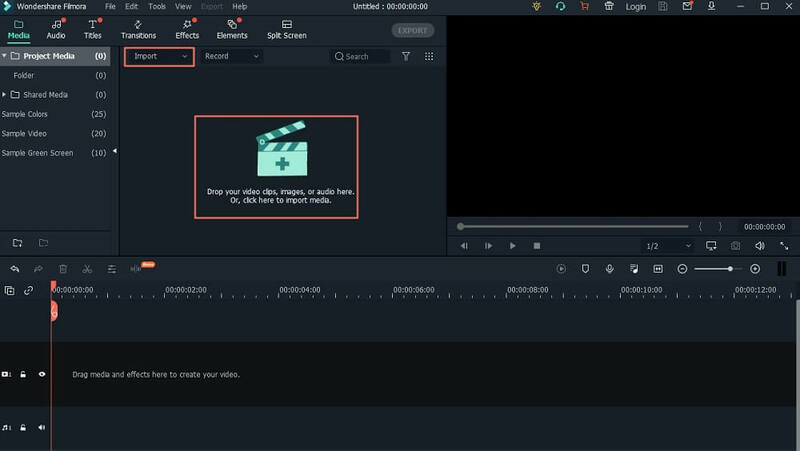 Preview your video and make the necessary adjustments like trimming, cropping, etc. Wait for the software to prepare your Instagram video then click on "Next" button and save your video in a format of your choice. Then click on "Export" button so as to share your video with the music file. Adding music to your photos and videos may sound like a daunting task. However, this is pretty easy if you use the correct tools. Filmora Video Editor has no boundary and can be used on Windows and Mac operating system platforms to add music to all your Instagram videos.